Please check this page regularly: information concerning the faculty will be available on this page soon. In France, Professor Weil has participated in a 2003 Presidential Commission on secularism, established by Jacques Chirac. He is Honorary Professor in Labour and Macroeconomics at Maastricht University as well as Head of Strategy and Data/AI at Saloodo!. Previously he was founding director of the Global Labor Organization and has held various research and management positions at the Institute for the Study of Labor (IZA), the World Bank and the Kiel Institute for the World Economy. 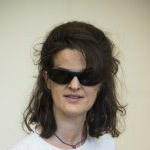 Alessia Lefebure (PhD) is the Vice-Dean of the French School for Public Health (EHESP), in charge of Academic Affairs. She previously served as Director of the Alliance at Columbia University, a joint-initiative for innovation in global research and education. 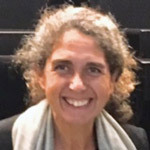 She is adjunct professor at Sciences Po Rennes and previously taught Comparative Public Policy at Columbia University (SIPA), Sciences Po Paris and Tsinghua University. A sociologist by training, and an internationally recognized expert in global affairs and education, she serves as a member of international boards and committees. She is among the founding members of the scientific committee of the International Summer School on Migration and Asylum. 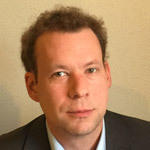 Dr. Bernd Parusel is a migration expert at the Swedish Migration Agency. 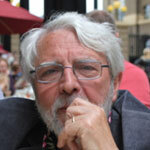 He is responsible for studies and reports in the framework of the European Migration Network (EMN). He also served in research-related positions at the Swedish Migration Studies Delegation (DELMI), the Federal Office for Migration and Refugees in Germany and as a lecturer at the University of Erlangen-Nürnberg. 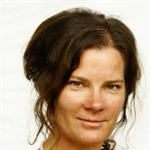 Caroline Tovatt has a master in Social Anthropology and a PhD in Migration and Ethnicity. Caroline earned her doctorate in 2013 at Linköping University. In present Caroline works at The Migration Studies Delegation (Delmi), an independent committee, under the Department of Justice, at the Swedish government. Her areas of research competence are: migration, labor market, social networks, social capital, recruitment practices, unemployment and Public Employment Service. She holds a degree in Political Science and Sociology and a Master in Human Rights and Women’s studies at IFU in Hannover. Since 2002, she is Counselor and Project Manager for the Adecco Foundation. She is specialized on national and international Diversity & Inclusion projects, Corporate Social Responsibility, Vocational Guidance and Career Counseling for people at risk of social exclusion. 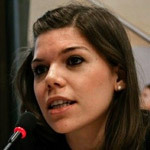 Chiara Monti is an expert on migration, integration and social policy. She has been working at the European Commission since March 2015, first in the Cabinet of the President and currently in the Directorate General for Employment, Social Affairs and Inclusion. Previously she held positions at the World Bank, the Migration Policy Institute and the German Marshall Fund of the US. She holds an M.A. in International Relations and International Economics from the Johns Hopkins University’s School of Advanced International Studies, as well as an M.A. and B.A. in Economics from the University of Bologna. 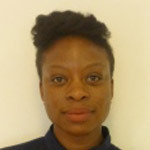 Ojeaku Nwabuzo, Senior Research Officer, joined ENAR in June 2014 to collect data and monitor developments across Europe for ENAR’s Shadow Reports: Migration and racism in Europe (May 2017); Afrophobia in Europe (2016); and Racist Crime in Europe (2015). She previously worked at Runnymede, a race equality think tank in the UK, as a research and policy analyst where she led on various race-equality projects. Ojeaku holds a BSc in Politics from the University of Southampton and an MA in Political Communications from Goldsmiths, University of London. 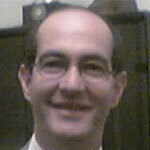 Pierre Georges Van Wolleghem holds a Ph.D. in Politics from the University of Milan, Italy. 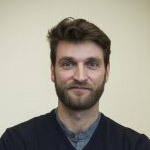 He works as a researcher for Fondazione ISMU on a wide range of national and international projects. 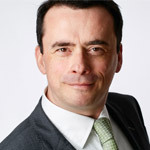 Pierre is also Honorary Fellow at the Centre for European Governance, University of Exeter, the UK and Teaching Assistant at the Graduate School of Economics and International Relations, Catholic University of Milan. His research interests revolve around the European Union, migration policies and policy evaluation. She gained a PHD in Human Sciences in 2011, from the University of Modena and Reggio Emilia, with a thesis titled “The malaise of caring. The professional experiences of female migrant carers working in Italy”. Since 2008 she has collaborated with the ISMU Foundation working as a researcher, mainly on the issues “Migration&Development” and “Migration&Health”. 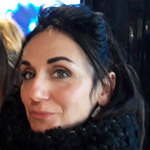 Since 2009 she has been subject curator of Sociology of Interethnic Relations at the Faculty of Political and Social Sciences of the Catholic University of Milan. 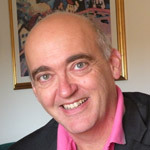 D’Angelillo is an economist and the president of the private Institute GENESIS (Bologna, www.genesis.it), specialized in enterprise creation activities, through research programmes, training schemes and technical publications. GENESIS focuses on the most interesting international experiences, supports new projects, elaborates new micro-entrepreneurial strategies at local level. He is author of several publications, among them: “Job Creation, il sostegno alle nuove imprese in Europa” (1985), “Come creare e gestire una piccola impresa” (2011), “Profughi: 52 progetti territoriali tedeschi di formazione e lavoro. Spunti per l’Italia (2017). Michele Bruni holds a Ph.D. in Economics from the University of California, Berkeley. He has taught at the Universities of Calabria, Bologna, and Modena and has been visiting professor at the University of Shanghai. He is member of the Center for the Analysis of Public Policies of the Faculty of Economics “M. Biagi”, University of Modena. For more than twenty years he has participated as labor market expert in numerous EU, ADB and WB funded projects in Eastern Europe, Africa and South-East Asia countries. At present, he lives in Beijing where he is Team Leader and Resident Expert of the EU-China Social Protection Reform Project. 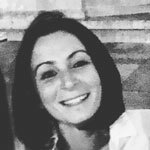 Beatrice Spallaccia completed her PhD in Translation, Interpretation and Intercultural Studies in 2017 with a thesis on “Misogynistic Hate Speech on Social Networks: a Critical Discourse Analysis” (Dual Award International PhD, University of Bologna – Monash University, Australia). After working as visiting lecturer at Monash University (Melbourne, Australia), she currently is adjunct professor of Diversity Management (AY 2017/2018) and Intercultural and Gender Studies (AY 2018/2019) at the University of Bologna.